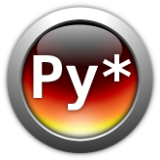 PyStar is a Safer Space. PyStar is a Learning Space. All women are welcome, including trans women. Speak from your own experiences. Don’t assume race, gender, identity or history of others. Use preferred pronouns and names. Respect people’s right to self-identify. Don’t assume shared experience, belief, or history. Mistakes happen, and we can work through them. Everyone has things to contribute. Good coversations involve multiple voices. Make space for quiet voices to speak. Learners have different desires and needs. Last updated on Jan 16, 2013. Created using Sphinx 1.1.3.